How Sotheby's Auction House just got Banksy-ed! moments after being sold for $1.4 million at auction! For an artist who's known for his stunts, this could be Banksy's most perfect art world prank. 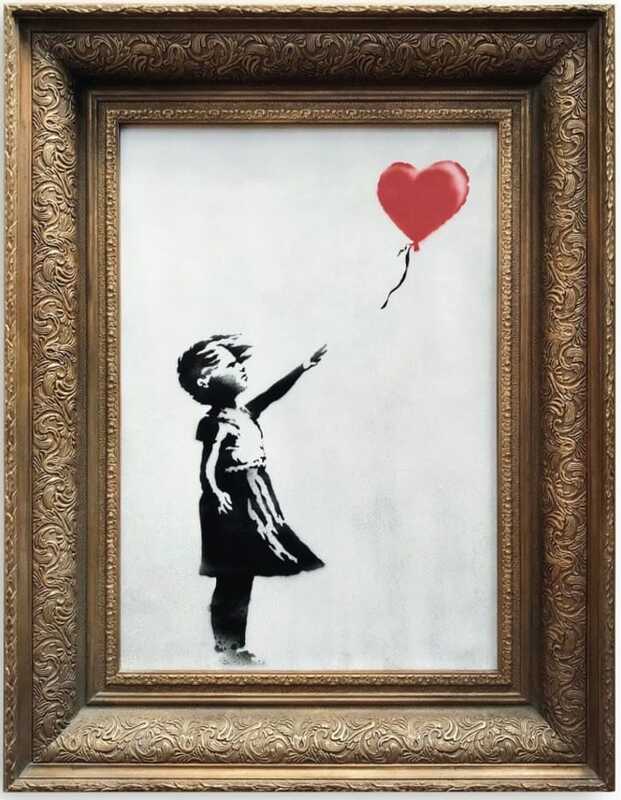 After the gavel fell Friday at Sotheby's auction house in London, Banksy's Girl with Balloon was reduced to shreds -- another apparent act in the disruptive career of the anonymous British graffiti artist. Newer PostPlein Air On The Go!